Markets are feeling the pinch globally. Though India is still showing growth it’s certainly not as before, plus they have a huge tobacco industry, their north western states have mostly tobacco as their major crop. And beedi ( indian cigs) are cheap and found everywhere, they are simply stated caustic. You know, I didn’t realize this. I always assumed Philip Morris was the No. 1 cigarette company in the world. No, they’re No. 2. No. 1 is the China National Tobacco Corp. Big Tobacco tried to muscle into China about 10 years ago, but the Chinese wouldn’t let them in. Despite its stature as the second-largest brewer in the U.S., for Philip Morris, Miller was small beer. 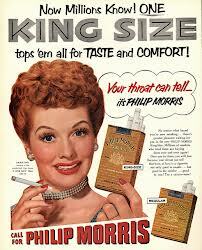 Its $4.24 billion in sales was less than 5% of Philip Morris’ total sales of $89.9 billion in 2001. Its sales actually fell by 3% last year and the brewery contributed less than 3% to Philip Morris’ $17.4 billion in profit. By contrast, Anheuser-Busch reported record beer sales both by volume and revenue in 2001.